An interpretation of Andrzej Frycz Modrzewski’s philosophy (1503-1572) should reflect, as far as is possible, its universal character. In line with Frycz’s intention, social thought is connected to theoretical reflection on fundamental philosophical paradigms. Therefore, the first aim of the project was to re-evaluate Frycz’s later theoretical works (Libri tres, Silvae) as essentially equal to the five books of On the Improvement of the Commonwealth. The second objective was to recreate the dynamic argument between Frycz’s critical universalism and the harmonising universalisms of his two greatest polemists: Stanislas Orzechowski (1513−1566) and Calvinist apologist Girolamo Zanchi (1516−1590). Moving beyond Frycz’s era and keeping in mind the exceptionally strong political involvement of a great many renowned scholars of his philosophy, it was necessary to discuss their work, not only as interpretations of Frycz’s thought made in historically distinct periods, but also as an attestation of the history of the influence of his thought, this being the third aim of the project. These three aims are mirrored in the titular wording – The Polyphony of Traditions. The metaphor of polyphony indicates here not a principal of one harmonious concord of sounds but the complete autonomy of the sounds, which develop their internal individual rationality in the sense of the ‘radical polyphony’ of Theodor W. Adorno. By using the concept of tradition, I am emphasising that in my interpretation more importance is given to Frycz being anchored in earlier and contemporaneous concepts, including some that compete with and contradict his own concept, rather than his possible status as a precursor in relation to later philosophical streams. The principal means of achieving these aims was the contextualisation of Frycz’s thought. I have discussed this against a backdrop of Erasmus, Melanchthon, radical humanists, Thomistic realists, radical nominalists and the Scotist stream in its general understanding. Within this contextualisation, I carried out a comparative analysis of Frycz’s hermeneutics, beginning with the half-open, dynamic conceptual structures, characteristic of this philosopher. These force the reader to oscillate between terms each of which forms part of the definition of another, and also to reach for a priori and a posteriori elements of knowledge of their own which are unpredictable from the author’s point of view. In my opinion, these structures hold the key to understanding a particular phenomenon, this being the interpretation of Frycz as a fore-runner of heterogeneous, sometimes even contradictory, social concepts. At the same time, it is important to note that in the research literature one will not come across a documented accusation of inconsistency or arbitrariness in his philosophy. I also paid attention to the processes of creating concepts from metaphors and – conversely – of reducing concepts to metaphors. In these processes, Frycz defines the epistemological border between scientific and non scientific knowledg and, in terms of political philosophy, marks out the boundary between a commonwealth of scholars based on a principle of exceptionally radical, intellectual freedom, and a commonwealth as a community of all the people living there, based on principles of political empiria, law and order, meritocracy and civil approbation. Andrzej Frycz Modrzewski was consistent in his philosophical work. He paid no mind to the new possibilities that arose in the latter half of the 16th century, for influencing the collective imagination through holistic picturing in a language accessible to a wider audience (sophisticated Latin or national languages). Frycz remained a sceptic despite the cultural circumstances, which increasingly rewarded cognitive maximalism, although this scepticism needs to be understood as a positive strategy for knowledge building. In both practical and theoretical thought, Frycz brought together different traditions in order to open up new perspectives. In On the Improvement of the Commonwealth this is, above all else and with all that entails, a perspective of man as a political being by nature, confronted with an Augustinian sensitivity to evil in human nature and with independend social empiria. In Sylvae, a rich dramaturgy of philosophical and theological aporiae presents the reader with a certain intuition of a univocity of being, which – tentatively – I call Scotist. Frycz mainly took from the tradition of classical humanism (represented by Lorenzo Valla, and especially Erasmus), scholastics (in this case, indirectly) and from theological ideas of his time (a clear influence of Luther and Calvin). He was particularly attracted to the ideas of Philipp Melanchthon. Ancient traditions deriving from Plato, Aristotle and Cicero form more of an integrated, terminological basis than a closed paradigm. Patrological tradition is also of some import, though Frycz took from it rather eclectically, without giving much consideration to the context of the short, chosen extracts. Stanislas Orzechowski did not apply philosophical methods. He took freely from philosophical terminology, creating a literarily attractive and politically efficient holistic vision. In calling this vision Neoplatonic, it must, at the same time, be born in mind that Orzechowski made his cognitive maximalism work by ignoring problems with which all who would make use of a Neoplatonic emanationist view for specific and definite political and theological projects must wrestle. Tension between implicit Platonism and declared Aristotelianism here drives an artistically perfect motion of philosophical and theological metaphors. Negative opinions of Orzechowski’s writings noted in secondary literature ought to be upheld, so long as they only pertain to the philosophical content (the chaotic eclecticism was dictated by requirements beyond the purely philosophical); moderated, provided that they apply to politics (Orzechowski, through his output, may have exacerbated problems which, after his death, were said to have weakened the Commonwealth, but which were not created by him); rejected, so long as they can be said to extend criticism of strictly philosophical motifs into the literary field. Orzechowski’s literary work, in its unphilosophical nature, represents a real challenge for philosophy. Orzechowski’s outright success in the intellectual tussle with Frycz is only the greater when we take into account that his terminology on a great many points constitutes a mirror image of Frycz’s. Concisely encapsulated, I put it that Orzechowski’s Policyja is Frycz’s On the Improvement of the Commonwealth written à rebours. Although philosophy as a method of taking pleasure in wisdom was alien to Orzechowski, he demonstrated his wisdom in the fields of psychology, eloquence and social imagination. Girolamo Zanchi’s work is of a philological and theological nature, as well as partly philosophical. From a theological perspective, Zanchi remained true to Calvin. His universalism was based on the foundation – completely unfamiliar to Frycz, – that principal scientific ideas, including concepts of speculative ontology, have a fixed meaning, not only in different branches of science but also within different social surroundings. Therefore, in Zanchi’s work the terminology of substantialist ontology lost the property of typical exclusivism as well as that of scientific precision, including openness to aporiae. Zanchi – just like Orzechowski – used philosophical terms in a narrative way, but as opposed to Orzechowski, he did it according to a precise theological interpretation. Zanchi took from certain motifs of Frycz’s, especially when he tried to connect philosophical ontology with an ontological interpretation of Biblical motifs; the limit of these aspirations was determined by the risk of losing literary and theological cohesion. In effect, what transpired was a universalism of a strong essentialist tendency; precisely that, then, which Frycz, in his Silvae (which were refuted by Zanchi) fought against as a threat to the intuition of the unity of being. I have summarized the analysis of Frycz’s philosophy in two formulas. Firstly, the practice and theory appear here as duo animi et una cogitatio in the scope of the model of rationalism, which is based on the Erasmian concept of sermo as general textuality: in both aspects there are two different kinds of texts, or even languages. According to Frycz, the distinctiveness of these two aspects should be respected (duo animi), whilst, at the same time, searching for thought motifs that would connect them or at least be commensurate to one another. The second formula derives from – stated in analysis of Silvae, and also in On the Improvement of the Commonwealth – the intuition of unity of being and to some extent of the Commonwealth, and the irreducible individuality of divine beings and, to a relative degree, human beings (constituting the Commonwealth): univocitas reipublicae et haecceitas eius civis. The Commonwealth is a dynamically reforming community of all people, regardless of otherwise justified and – in practice – irreducible differences in social status (analogous to the Scotist univocitas entis), and with the capacity to adapt to a variety of effects of human virtue and non virtue. The principal virtue of citizens is the responsibility for their private life and for the community, rooted in ever-changing, though still to some extent conceptually tangible, unique individual identity (analogous to the Scotist haecceitas). 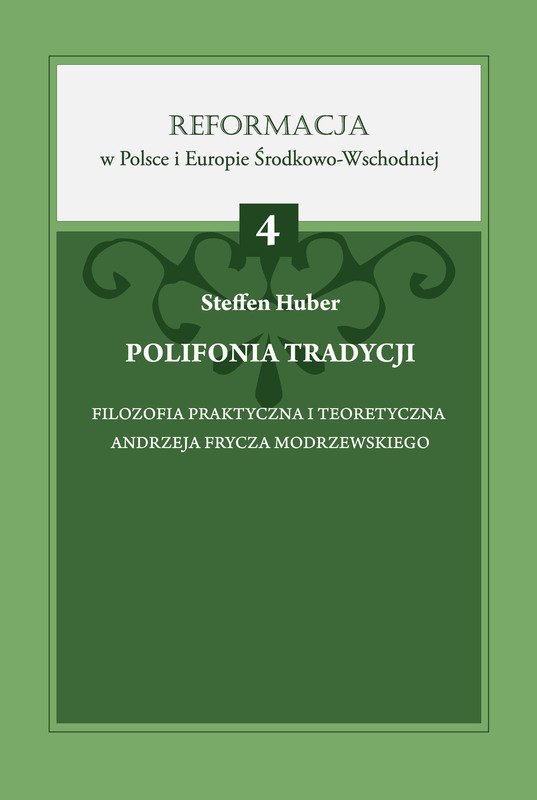 The most important of the postulates formulated in this monograph concerns Frycz’s affiliation with the last generation of Cracovian scholastics, in particular Michal Twarog of Bystrzykow (1450 – 1520) and Jan of Stobnica (1470 – 1530) and therefore with Scotists or – as Mieczyslaw Markowski would have said it – thinkers concealing their radically nominalist beliefs behind a façade of Scotism, ostensibly deriving from via antiqua. This matter does not solely concern the suitability or not of using Scotist terminology when interpreting Frycz’s writings. The question is rather, what meaning for 16th century Polish humanism can be ascribed to the exceedingly – in comparison with the rest of Europe – multithreaded, intrinsically bound to the Conciliarism of the first half of the 15th century via communis cracoviensis.